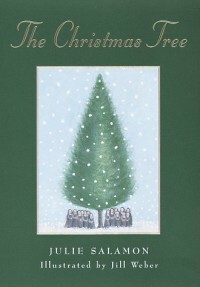 The Christmas Tree by Julie Salamon, illustrated by Jill Weber and re-published by Open Road Integrated Media this next Oct 4th in a new edition for the 20th anniversary is a book that you can't and you won't put down and it will be one of the best gifts for this next Christmas for sure. 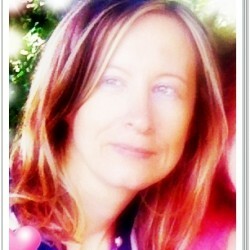 It's so precious, tender, plenty of wonderful humanity and good feelings. A little big story able to warm the heart of millions of people in the world. Everything started a lot of time ago when a little baby called Anna lost all her family and was sent in an orphanage. Later some nuns agreed to give her hospitality, because the toddler very nice and a person of good heart. Brush Creek opened the arms at this little kid. Anna became diffident because she had met along her way (at the orphanage) a lot of bad companions. Anna started to make friendship not with some humans after all but with a tree, that she will call Tree. This tree a Norwegian one will become her best friend and the symbol of her life and of her personal spiritual and physical growth. Tree and Sister Anthony will grow up together, year after year. Will Sister Anthony agree to share with NY, the city where once she was born and with the rest of the world her beloved tree, that to her meant a lot, cutting the past and giving a new start at her life? I cried a lot of times while I read this little, precious tale. It is moving. I would suggest this book to all of you, because Christmas is not just a feast but a part of us and our life-style. Christmas is not just on Dec 25th but everyday and everyday we should spread to the world our own light. The cover is beauty but I would have chosen a different image, for create a more, genuine romantic idea to the reader about the story, with more colors. I thank Netgalley for this book.